take the Scriptures and show what the SAGES KNEW and others hid. The time has arrived to understand what is heading our way. WE ARE HERE TO PREPARE YOU! We Interview the "Best of the Best"
Authors, Theologians, Physicists, and Scientists. 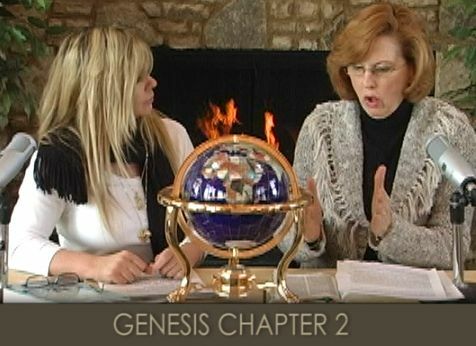 We are "ON THE EDGE" of broadcasting the Science of the Bible. We want our audience to be in the Know.......NOW!!! Listen to Chapter 1 of "It's All About The Blood"
Listen to Chapter 2, Part 1 of "It's All About The Blood"
Listen to Chapter 2, Part 2 of "It's All About The Blood"
Listen to Chapter 3 of "It's All About The Blood"
RACHAEL: I knew from a very young age that my destiny was to go to Israel and unlock some secrets of the Biblical Text. I would cry myself to sleep with news of Murder, Cruelty and such things as Animal abuse. I wanted to understand HOW and WHY some people (from every walk of life) could seem to be so cruel. I would wonder what was wrong with their souls! When I found out the secret, that they had no soul, the picture of humanity became clearer. I wanted to share this with others who struggle every day to make sense of the senselessness of the daily News on Planet Earth. CYNTHIA: I spent much of my life seeking answers from the Bible. My mother tells the story that I would ride my bike to the nearest Synagogue for Saturday school and attend our own Southern Baptist church on Sundays. I was so enthusiastic to share my knowledge as a grammar school student, that I conducted a Bible study for all the kids during recess until the principal stopped this because of parent complaints. I remember making it a requirement to attend. It was not long before I found a new way to enter into preaching without a pulpit. I found music. This opened up many opportunities to sing in different venues such as churches, schools, Bar Mitzvahs, weddings and solo competitions, winning some local and State competition.